This volume seeks to explore the vast history of international maritime business, focussing on themes of management, finance, and labour. 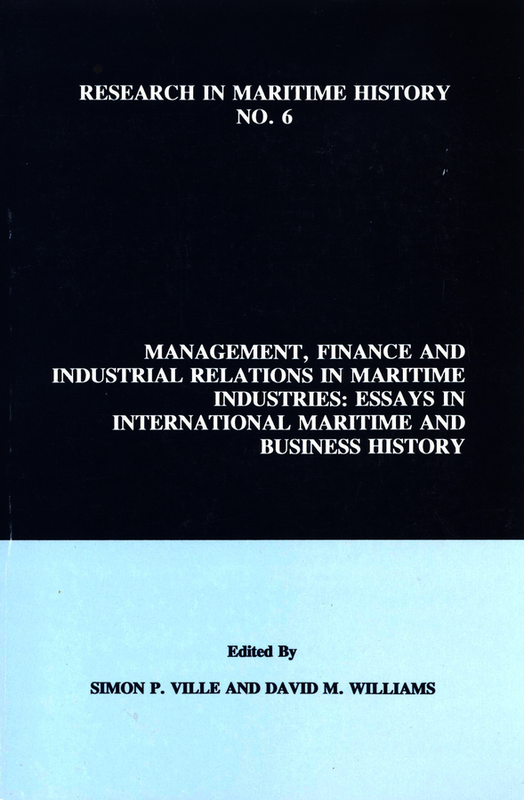 Each essay considers the economics of maritime industries and the factors that influenced decision-making. Their collective purpose is to spotlight relatively neglected areas of international maritime business history, and their richly varied subjects and geographies are primarily unified by this theme, whilst demonstrating the universality of international maritime business. The essays cover the following subjects:- the Norwegian shipbroking firm, Fearnley and Eger; the labour management strategies of nineteenth century London dock companies; the hierarchies of Finnish seagoing in the nineteenth century; twentieth-century Spanish merchant shipping; an examination of Gothenburg’s leading shipping companies; an exploration of The Royal Mail’s postal contracts and overseas mail service; patterns of ownership and finance in Greek deep-sea steamship fleets; the relationships between banks and industry in interwar Italy; the expansion of Japanese post-war shipbuilding; and a survey of Chinese junk trades.